Jeff Dean is one of the most experienced and respected criminal defense attorneys in the state of Minnesota, and is widely known for his high success rate. Judges have recognized Jeff for his wins, and other attorneys often call upon Jeff for his assistance in the evaluation of their client’s cases. If you are facing a charge for solicitation of juveniles, it is crucial that you have an experienced criminal defense lawyer in your corner with a proven track record. 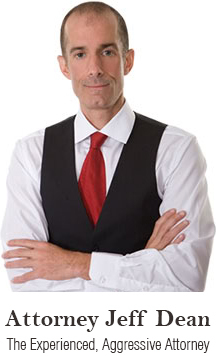 Jeff Dean has that record and he is recognized as one of the most successful attorneys in this area of the law. Under Minnesota Statute §609.494, an individual is guilty of solicitation of juveniles if he or she is an adult and conspires or solicits a minor to commit a delinquent act or crime, or acts as an accomplice to a minor in the committing of a delinquent act or crime. Solicitation of juveniles is considered a misdemeanor if the intended criminal act is deemed a misdemeanor, or would be deemed a misdemeanor if committed by an adult. It would be considered a gross misdemeanor if the intended criminal act is deemed a gross misdemeanor, or would be deemed a gross misdemeanor if committed by an adult. An offender is guilty of a felony if the intended criminal act is deemed a felony, or would be deemed a felony if committed by an adult. Penalties may include imprisonment of up to half the statutory maximum term for the intended criminal act and/or payment of up to half the maximum fine for the intended criminal act. The consequences of a solicitation conviction are severe. Call Jeff Dean today to protect yourself against these charges.